Is good website content writing … in today’s mobile world … even relevant anymore? I love sports. All sports. But especially football. Both college and the NFL although I like the college game more. As an alumnus, a former player and a long-time season ticket holder of the University of Utah Utes football team, I don’t miss any of their games. My family and I attended the opening game of the 2016 home season last night and the place was packed. Standing-room-only even for an opponent from the FCS division … a lower ranked division with fewer scholarships and nowhere near the resources of the FBS schools. With a monstrous gleaming new $15 million high-def video scoreboard and a sound system to match, the display … both visually and audibly … was almost overwhelming. But when there was a break in the action, what did they spend most of the time showing on that big new board? Fans. The crowd. People doing stupid things because they were right there on the big screen. They had to do something didn’t they? And they showed people’s inane Twitter posts. Those were interesting. But when the game was on and the action was live, most of the people … even those who weren’t necessarily football fans … seemed to focus on the action. Either on the field or on the big board. Because that’s why they were there. For the game. And it got me thinking. The internet is kind of like what I experienced last night. If you’ve read anything about internet marketing … successful internet marketing … you already understand the importance of great website content writing. It’s what my businesses are built on and the model most of my client’s follow. The model hasn’t changed much through the years. Why do people use the internet? They use it to search for information. Credible, high-value information. Or they want to find a solution for a problem. They also go to find answers to questions. But they damn sure don’t go there to find you. At least not at first when they don’t know who you are. It’s that simple. Regardless of what else you do. If you give visitors the information they’re looking for … and keep adding to it … the more your traffic will grow. Here’s a somewhat radical concept that most online businesses still don’t get. Pre-selling is the online version of what businesses used to do in the brick-and-mortar world. It builds relationships. Pre-selling builds trust and respect for your online business. And you pre-sell by providing valuable online content. Of course, everything today seems to revolve around technology. It rules right? So-called marketers even insist that stunning graphics will do the selling for them. Kind of like the football game I went to last night. Loud, visually stunning, pyrotechnical bombardment. But when it came right down to it, people were there for the game. What About SEO – Search Engine Optimization? Of course it’s true that a certain amount of SEO is needed to build a website that attracts traffic generically. But too much of an emphasis on SEO is counter-productive. Have you ever read a page that you knew was written strictly to adhere to some SEO formula and made little sense? Where keywords were just thrown in throughout the article or web page. Well Google notices it too. And they now penalize sites for it. Constantly trying to tweak your pages is a waste of time when you compare it to over-delivering well-written website content writing. Search Engine Optimizers try to fool the search engines. But the people tweaking Google’s algorithms … and yes, it’s kind of scary … are some of the smartest people in the world. SEO’ers … “and there’s probably not as many as there was a while ago” … may soon be extinct. Google has simply become impossible to manipulate. For the reason given in the previous paragraph. Keywords – how many to use and where. The description of your page. But it’s impossible to write your web pages to impress two viewers … your human visitors and the search engines. 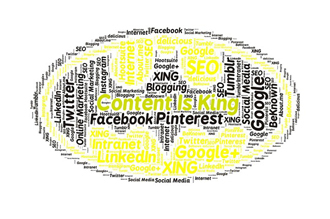 SEO should be blended in with “good website content writing”. Weave personal experience into well-researched background information. Establish your credentials as an expert. Do these two things and you’ll inspire trust in your readers. Combine this with just the right amount of SEO and you’ll get the jump on your competition. If you present your content in the right way … as I’ve explained above … with the right amount of SEO, you’ll eventually find yourself in the first 10-20 listings of search engine’s search results page. Right where you need to be to reach your target audience. Remember that when a visitor finds your site on Google, they pat themselves on the back. Because they found you. Without you paying a dime for advertising. Letting your content and sales page do the rest. If you do want to invest in driving traffic to your site to augment your results and accelerate the process, you still need great content to hold your visitor’s attention. But investing in building traffic is an entirely different story.